Miss Universe Vietnam 2017 H’Hen Nie will take to the catwalk to model Ha Linh Thu’s latest fashion collection “The Boyfriend’s Jacket” for the Vietnam International Fashion Week Spring/Summer 2018 on April 22. Miss Universe Vietnam 2017 H’Hen Nie will be the vedette for the fashion show. The collection will include streetwear style designs with oversize jackets. The designs have a Western style, with patterns embroidered by hand. 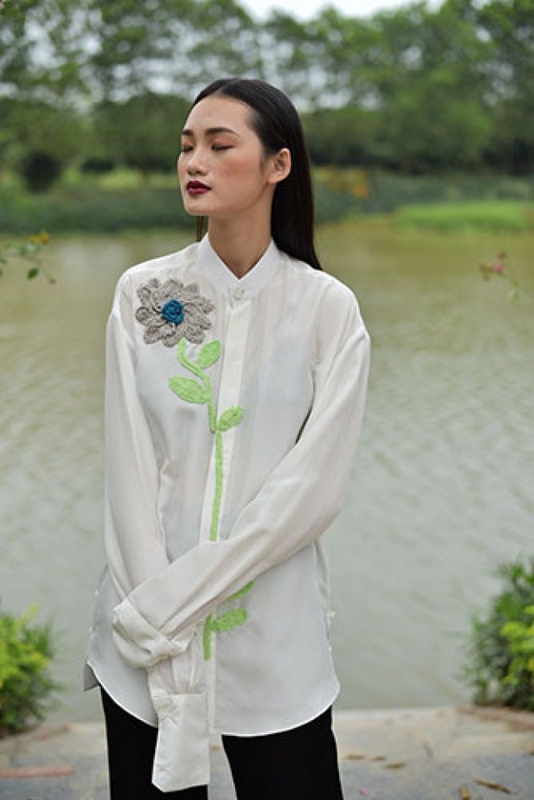 Through the collection, the designer, Ha Linh Thu, wants to assert the mastery of a woman's life, career, and love. Ha Linh Thu uses orange, pink, red, and green in her collection to mimic the vibrant colours of summer. Apart from H’Hen Nie, other models from Thailand, India, the Republic of Korea, and Europe will model the collection. The show will be held on the closing night of Vietnam International Fashion Week Spring/Summer 2018 on April 22. The Vietnam International Fashion Fair 2017 (VIFF 2017) is scheduled to take place in Ha Noi on December 22-26.